In Latin America in 2018, 10 journalists were murdered by criminal organizations in retaliation for their reporting, according to a new report from Reporters Without Borders (RSF, for its initials in French). In general, the deaths in the region are linked to drug cartels, which benefit from proximity to public authorities, according to the report “Journalists: the bête noire of organised crime.” The organization reported killings in this category in Mexico (with 4 cases), in Brazil (3) and in Ecuador/Colombia (3). There were 12 homicides worldwide in the category. Four other deaths of Mexican media professionals this year are being investigated to determine if there is any relation to the exercise of journalism. Since 2012, the organization estimates that 32 journalists have been killed by cartels in the country. “In Mexico, the police and judicial systems move slowly or deliberately arrest the wrong people when both narcos and politicians wanted to silence a journalist. In some cases, absolutely no investigations are carried out,” the report states. Last year, another 11 murders of journalists carried out by criminal organizations were documented by RSF in Latin America: nine in Mexico, one in Brazil and one in Honduras. It is Mexico where the situation is most serious for journalists investigating drug cartels, according to RSF. The report recalls the deaths of journalists Cándido Ríos Vázquez, shot in a supermarket on Aug. 22, 2017, and Rubén Pat, who died at a cafe on July 24 of this year. Both cases are emblematic of how security institutions for media professionals do not function in Mexico, according to RSF. The two journalists killed were under the Mechanism for Protection of Human Rights Defenders and Journalists. For Pat, the protective measures meant only "a GPS and a panic button," the organization pointed out. “When he complained about the inadequacy of these protective measures to RSF, saying he was living and ‘working in fear,’ RSF contacted the Federal Mechanism and requested urgent reinforcement of Pat’s protection – with no success,” the report said. Impunity in these crimes is another major obstacle in the Latin American country. RSF cites data compiled by the National Human Rights Commission of Mexico (CNDH) that indicate that more than 90 percent of violent crimes against journalists go unpunished. In some states, such as Tamaulipas, Veracruz and Sinaloa, this rate is close to 100 percent. “In a country such as Mexico, where the number of bodies found in the streets or in mass graves might give the impression that a civil war was going on, organized crime knows that both the police and judicial system are overwhelmed and that this guarantees impunity,” the report said. 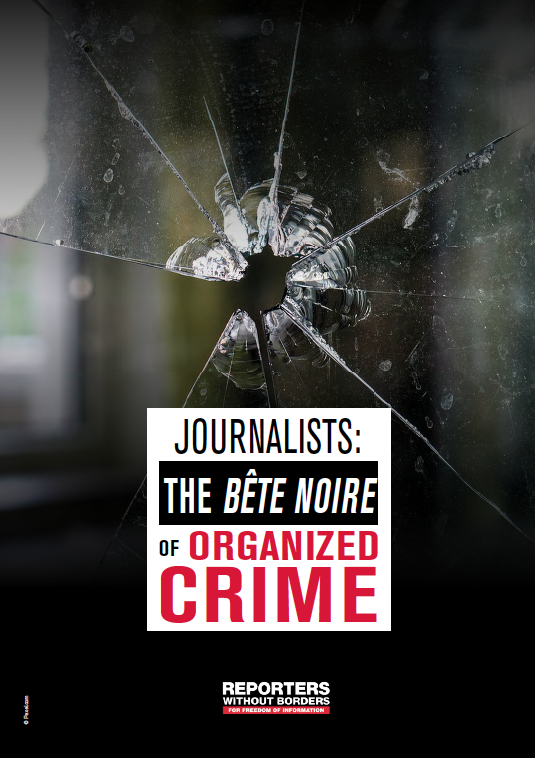 In many cases, organized crime achieves its goal of silencing critical journalism, at least temporarily. An example is the case of Norte and former editor Oscar Arturo Cantu Murguía, who was interviewed for the report. The journalist decided to close the publication after the death of reporter Miroslava Breach, to whom he was close professionally. The death made him consider the lack of security and guarantees for investigative and critical journalism, as well as the situation of impunity, he told RSF. Murguía said Norte now has a new magazine called “alternative journalism.” “The project does not accept official advertising, lives from sponsorships, we are promoting it from civil society to end the pressure,” he said. The report also described the situation of journalists in Colombia, a country that continues to be one of the world's three largest producers of the paste used to make cocaine. The case highlighted in this country attracted international attention. Reporter Javier Ortega, photographer Paul Rivas and driver Efraín Segarra, who worked for the Ecuadorian newspaper El Comercio, were abducted near the border between Ecuador and Colombia by the Olivier Sinisterra Front, an armed group whose members were once part of the FARC. The Ecuadorian government later confirmed their deaths. They had been reporting in an area that is home to coca plantations and cocaine production, as well as fights between authorities and drug traffickers, RSF pointed out.